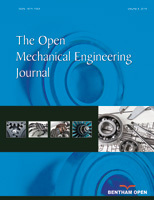 This paper firstly established a three-dimensional modal of gear and rack transmission system. By using finite element analysis software the model is analyzed and the first six natural frequencies of the gear and rack transmission system are acquired. According to the natural frequencies, actual working speed can be adjusted to avoid resonance. In light of the modal analysis, the transient dynamic finite element model of the gear and rack transmission system is established for the transient dynamic analysis. According to the equivalent stress contour of the gear and rack in contact progress at various times and based on transient dynamic analysis, contact strength and bending strength of the gear are verified and the maximum equivalent stress position is found, providing a theoretical basis for the optimization of the gear and rack.